This graph depicts the franchise value of the Boston Celtics of the National Basketball Association from 2003 to 2019. 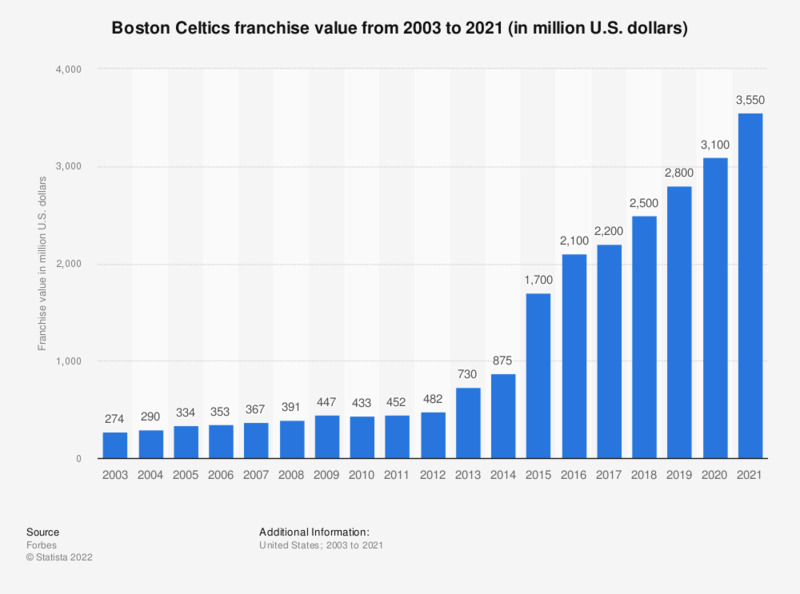 In 2019, the Boston Celtics franchise had an estimated value of 2.8 billion U.S. dollars. * Value of team based on current arena deal (unless new stadium is pending) without deduction for debt (other than arena debt). Everything On "Boston Celtics" in One Document: Edited and Divided into Handy Chapters. Including Detailed References.